This Frenchbeans-Peas Stirfry is an easy and tasty dish which needs 12 mins microwave cooking-time only. Try this at home and post ur comments. Take a microwave bowl and add mustard seeds,cumin seeds,chopped onions, whole red chillies,curry leaves and refined oil.Mix them well.Microwave high for a min. Mix all the other ingredients including 3/4 cup water and add this to the above bowl.Microwave this on high for 11 mins. Take the bowl out after 5 mins. 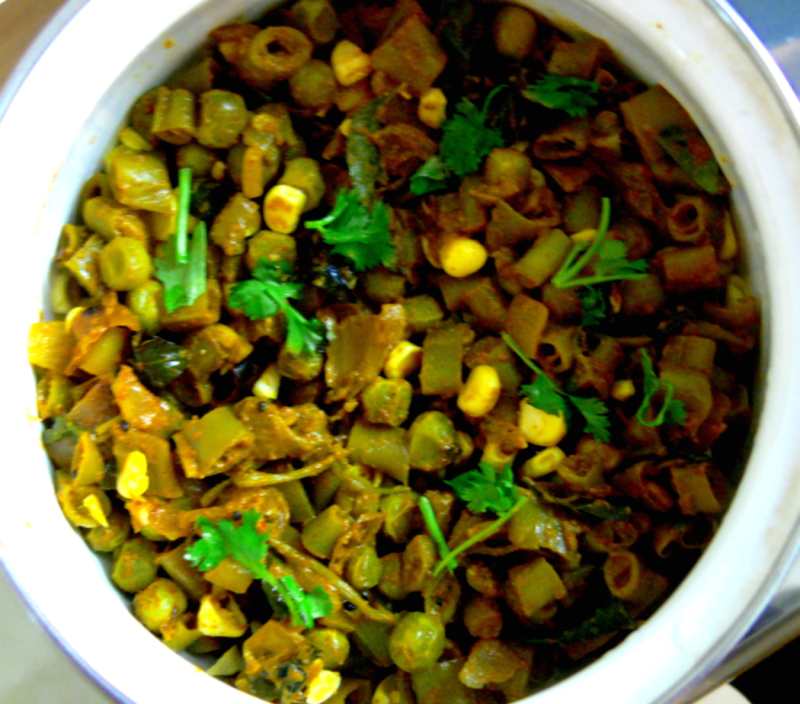 Serve this Frenchbeans-Peas Masala hot with rice and sambar or karakuzhambu or chapathi .